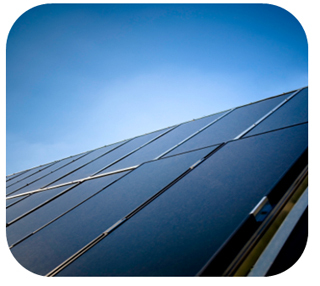 We have been closely associated with the leading solar energy companies for many years. Our comprehensive range of solar glass products and coated glass products has been designed and optimised to suit the challenging requirements associated with each of the solar technologies. Glass is a durable, highly transparent material making it an obvious choice for solar energy applications. Our extra clear solar glass offers superior solar energy transmittance and is stable under solar radiation. It also survives harsh environmental conditions and protects the sensitive components of solar modules from water and humidity ingress. Available with added functionalities, such as transparent conductive coatings or anti-reflective coatings, our solar glass products not only offer durable transparent protection to solar panels, but also become a functional component of solar modules. Our broad range of high quality solar glass products position the NSG Group as a technological leader in solar glass supply to solar energy companies.